Sporty, Elegant, Beautiful, and collectible! 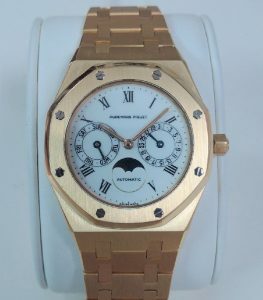 Pre-owned, in ABSOLUTE, LIKE NEW CONDITION WITH ORIGINAL AUDEMARS PIGUET BOX. 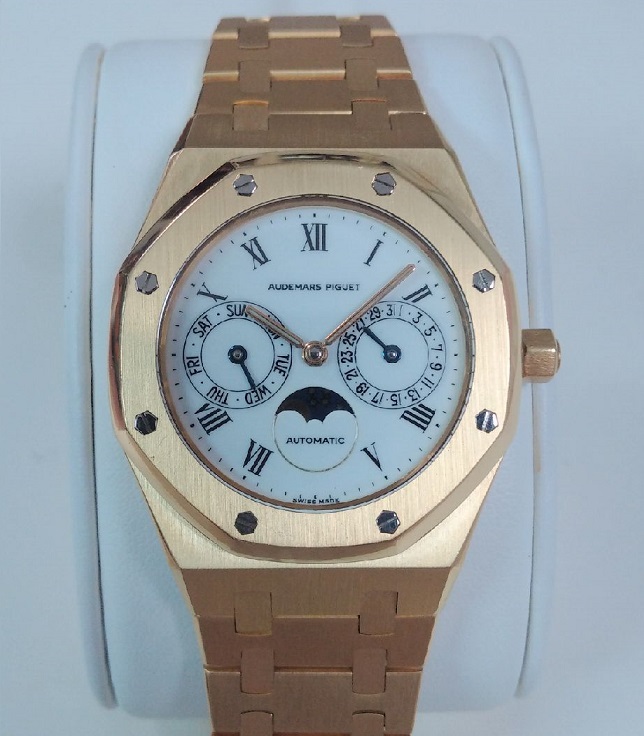 Beautiful RARE white porcelain dial, 18K yellow gold, 36mm case, automatic movement, with Day, Date, & Moonphase, with solid gold case back.